FRAMES & FRAGMENTS - a film offered by Gabriela Tudor Foundation (Irish production signed by the visual artist Mary Wycherley, part of the project E-Motional Bodies&Cities. 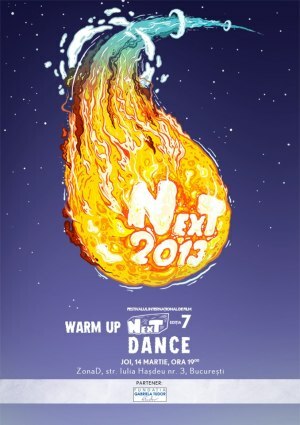 "WARM UP NexT 2013: Dance" Film in Bucharest. You can get here description, reviews, address, time and details of "WARM UP NexT 2013: Dance" Film in Bucharest. Visit Bucharest Tips for more Film events in Bucharest!